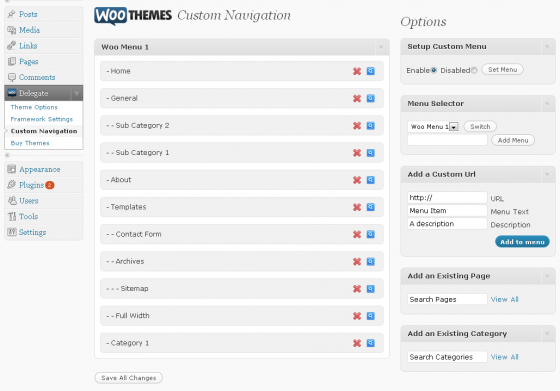 March 29th in Premium Themes by Wordpress Jedi . Tumblr is one of the most popular blogging platforms around. The platform is designed for those who like to share videos, photos, images, and other types of content with their readers. You can always start your own Tumblr blog using the services provided to you by Tumblr. But that’s not your only option. Cinch is a cool tumblog theme that gives you some of the same awesome abilities you see on Tumblr, but you get to install it on your very own domain, and you own it all in the end. Cinch theme is very flexible and makes posting content to your tumblog quite a lot of fun. You can add images, video, audio, quotes, notes, and links to your blog fast. 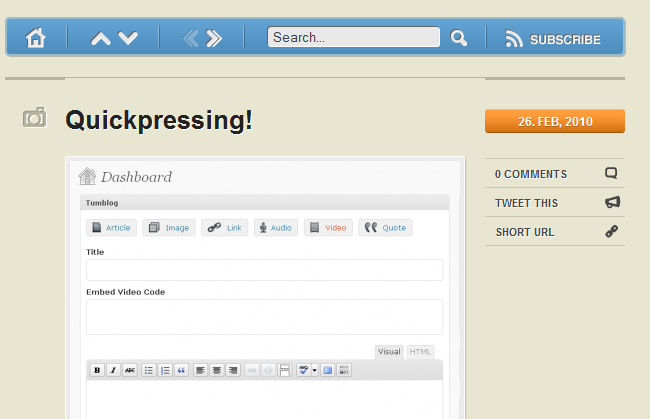 The theme takes advantage of Quickpressing technology to enable you to post to your blog quickly from your dashb0ard. The theme takes advantage of jQuery as well. So there is a lot of eye candy on it as well. Cinch theme is social media friendly as well. your visitors can connect with you on Facebook, Twitter, and even on top video sites right from your blog. Now here is the fun part. Your theme comes with 11 color schemes. So you are going to have plenty of options to choose from. Cinch Theme takes advantage of Woo Custom Navigation, so you can pick and choose how you want your navigation to be displayed. Overall, Cinch Theme is a very attractive tumblog theme that lets you start your own Tumblr style blog fast. It’s very flexible, easy to use, and very dynamic too. 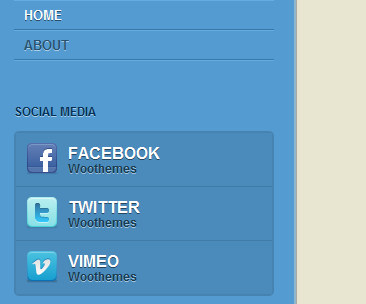 Another powerful WooThemes theme.